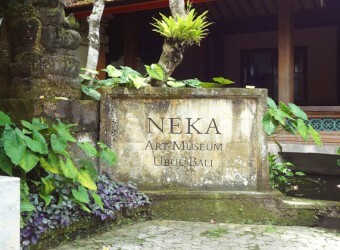 There are several museums in Ubud, but the most famous museum in all of them is Neka Museum. Inside is separated into some rooms depend on characters of drawings and styles. There are varieties of arts; Bali classic traditional drawing, European style drawing, influenced foreign artists’ drawing, etc. This museum has 6 different buildings. The gallery displays selected paintings both art works of Balinese artists and works of foreign artists. I think I love Balinese paintings including landscape paintings. I think Balinese people have really high artistic quality.